This piece originally ran on the American Federation for Children blog. If you look at the map of Tennessee below, the green-outlined counties are the rural and suburban counties, while the red-outlined counties are the urban. Other than the rural/suburban and urban divide, what other fact could be stated about this map? All five of those red-outlined counties contain every single “failing” classified school in Tennessee. A high school in Shelby County where Memphis is located has a 42.3 percent graduation rate and an average ACT composite of 14.5. (An ACT score of 21 is considered the average score needed to get into college.) At a middle school in Davidson County, where Nashville is located, only 8.7 percent of students are proficient in Math. At a middle school in Hamilton County, home to Chattanooga, only 14.5 percent of 3-8 Grade students can read proficiently on grade level. Another statistic will open eyes as to what this means for Tennessee. Davidson County (Nashville) has 16 percent fewer eight year olds than three year olds. Neighboring Williamson County, the best performing school district in the state, has 34 percent more eight year olds than three year olds. It’s clear that as Nashville parents see their children approaching the schooling ages, they are voting with their feet and moving a few miles away to a better school system. In theory, Tennessee has school choice—if you are wealthy enough to uproot your family out of a bad school. Unfortunately, for thousands of families across Shelby, Madison, Davidson, Hamilton and Knox Counties, that is not an option. The beauty of the Opportunity Scholarship is its design. It would immediately give families a certain amount of money to use for tuition at a private school that meets strict state standards. The old school system would then keep the remaining dollars even though they don’t have to educate that child. For instance, in Nashville, the per-pupil cost for a child’s education is $15,307. The scholarship would amount to $6,971 and thus Nashville gets to keep $8,336 without even having to educate the student anymore. Polling in Tennessee shows that 60 percent of families say they would use an Opportunity Scholarship if available—and 68 percent of families in Memphis say so as well. It’s no wonder that the program draws so much support since three neighboring states of Tennessee (North Carolina, Georgia and Mississippi) have an Opportunity Scholarship program, and Louisiana a bit further south enjoys 91.9 percent parental approval for its own scholarship program. And while Tennessee in recent years has made great strides for improving the school systems overall with reforms to teacher tenure, collective bargaining and school accountability, new reforms to help those in the most dire circumstances have been continually blocked by special interest groups like the teachers’ unions or school boards associations. Other than Opportunity Scholarships, the special interest groups have blocked other urban/failing school reforms in Tennessee like the Achievement School District and charter schools which are objectively improving education, but take a few years to get up and running. According to a 2013 CREDO Stanford report, Tennessee’s charter school students were shown to learn an equivalent of an additional 86 days of Reading and 72 days of Math compared to their peers in the traditional public schools. The Achievement School District schools, which are schools in the failing areas that are run by the state, last year saw 22-point gains in Reading and 16-point gains in Math, far outpacing the state average. These reforms are improving lives. In years to come, thousands of students who otherwise would have had bleak opportunities in life are now on a path to a high school graduation, a good paying job or to college. But that’s not enough for still thousands of other families. Even though the Opportunity Scholarship legislation has passed the State Senate by wide margins, there is still work that needs to be done in the House to get it to the governor’s desk. 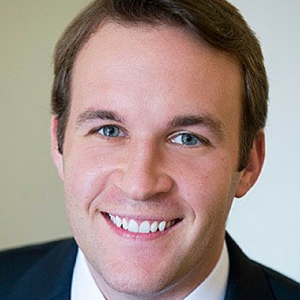 Tommy Schultz is the Communications Director for the Tennessee Federation for Children.